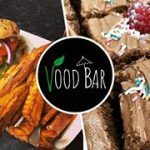 Sennen Cove, TR19 7DF www.voodbar.com Fb: VoodBar Email: voodbar@gmail.com Fri-Sun 9am-7pm, Mon-Thur Closed (Summer season expects to be 6 days a week Vegan food truck based in Sennen cove. They have options such as fish and chips, BBQ ale burger, crab cake wrap, Traditional steak pasty, Seitan ale stew, saffron infused fish stew, kids sausage & chips, saffron cake, rainbow cheescake, crabcake tacos etc. Updated 04/18. Warrens Bakery Top Shop, Market Square, St Just, Penzance, TR19 7HD Tel: 01736 786677 *** 8 Bolitho Road, Heamoor, Penzance, TR18 3EHTel: 01736 361808 ***11 The Strand, Newlyn,TR18 5HHTel: 01736 366633 *** 34b Alverton Street, Penzance,TR18 2SJTel: 01736 362788 *** 10/11 Market Jew Street, Penzance,TR18 2HNTel: 01736 362 746 *** 6 Vegan dishes LABELLED VEGAN A chain pasty store. See Multiple Outlets for details. Updated 09/17. The Square Market Square, St Just, TR19 7HD Tel: 01736 786766 They stock vegan mozzarella style topping for pizzas and the bases are also suitable for vegans, there is a £2 charge for vegan pizza making them £7 each. They also stock vegan cake, soya milk, dairy free spread for sandwiches and an extensive salad bar. Updated 04/18. Cafe Dog & Rabbit North Row, St. Just, Penzance, TR19 7LB Tel: 01736 449811 £2-£8.50. 4+ Vegan dishes. LABELLED VEGAN 9am-4pm Thur-Sun They stock soya milk for drinks and have between one and five vegan cakes that they have marked on a list behind the counter. These may be banana cake, flapjack, parkin, ginger cake etc. At around £2 a piece. They also stock two flavours of vegan booja booja ice cream at £2.50 or £4 for Affogato (ice cream with a shot of espresso poured over). They also do a vegan breakfast that includes v-bites sausages and vegan margarine for £7.50. Soups are usually vegan and possibly a main but these regularly change. Quirky cafe with lots of bunny and dog related art dotted over the place. They even have vegan handwash in the toilet. In the centre of St Just on a small side street. King’s Arms 5 Market Square, St Just, TR19 7HF Tel: 01736 788545 Mon-Sat Noon-11pm, Sun Noon-10.30pm 5 Vegan dishes @ £5.95-£10.95 LABELLED VEGAN They have chickpea, sweetcorn & courgette fritters as a starter or main, a superfood, vegetable & rice noodlebowl with soy and ginger broth, a salad and a vegetable & chickpea burger. Updated 05/18. The Queens Arms Botallack, St Just, TR19 7QG Tel: 01736 788318 Dishes from the menu can be adapted for vegans such as: spicy bean hot pot served with choice of potatoes, butternut squash and puy lentil curry, chefs pasta and some of the starters. Sorbet option also suitable for vegans. Stone’s fruit & Veg 3-4 Market Square, St Just, TR19 7HF Fruit, veg and health food section selling selected products such as tofu & vegan yoghurt. The attached ice-cream shop has mini booja booja and zen zen vegan ice cream pots. There may be more vegan ice cream too. The Cook Book Cafe 4 Cape Cornwall Street, St Just, TR19 7JZ They stock soya milk and understand vegan. They are happy to make requested dishes and always open to suggestions. There are many vegetarian dishes. The bread is made locally and is suitable for vegans. They did however have in their own newsletter an article which seemed to be supportive of a local pro-hunt event. Designed & developed by Rich England.